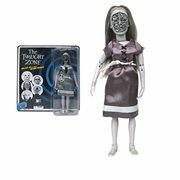 Enter a new dimension in gift giving with action figures, bobble heads, license plate holders, T-shirts, and more straight out of The Twilight Zone! 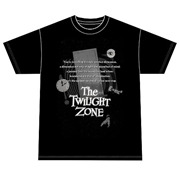 The Twilight Zone is an American TV anthology series created by Rod Serling. 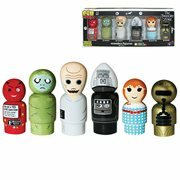 Each episode is a mixture of self-contained fantasy, science fiction, suspense, or horror, often concluding with a macabre or unexpected twist. 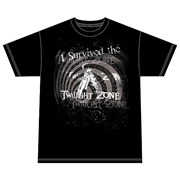 A popular and critical success, it introduced many Americans to serious science fiction and abstract ideas through television and a wide variety of Twilight Zone literature. 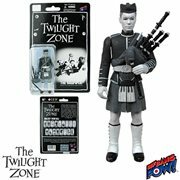 The success of the original series led to additional series, a feature film, a radio series, a comic book, a magazine, and various other spinoffs that would span five decades. 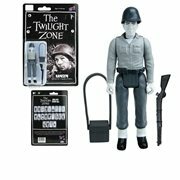 This article uses material from the Wikipedia article "The Twilight Zone" and is licensed under the GNU Free Documentation License.